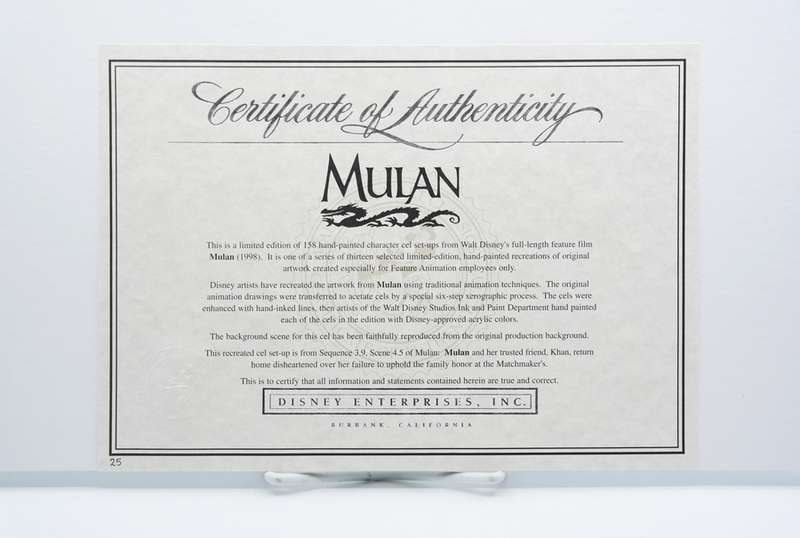 This is an employee limited edition from the Walt Disney Studios production Mulan (1998). 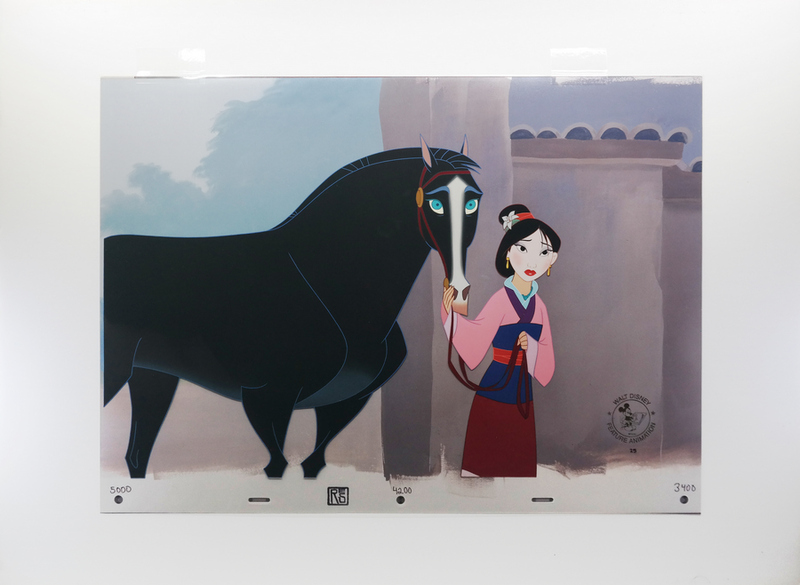 This hand-painted limited edition cel features Mulan and her faithful horse Khan, which is paired with a lithographically printed reproduction of the matching background. 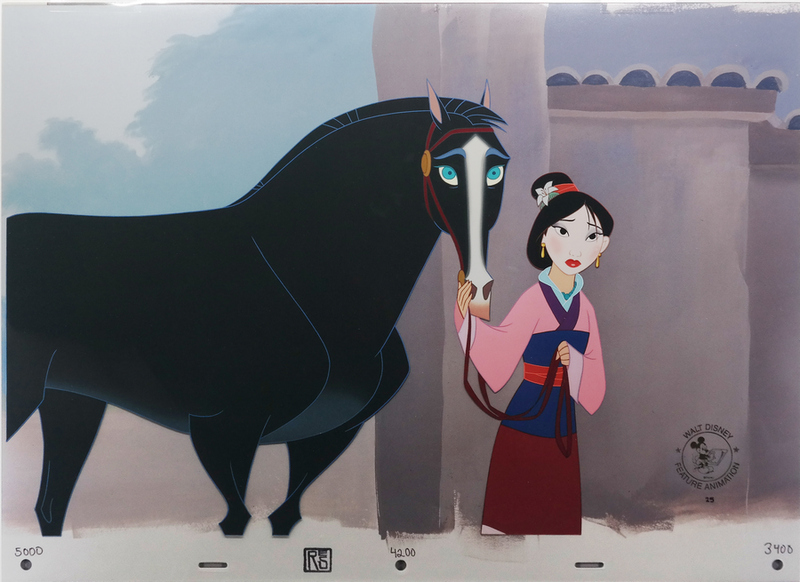 This cel was created at the studio only for the cast and crew that worked on the film. At the end of the film, the studio would offer the crew options of popular imagery from the film. 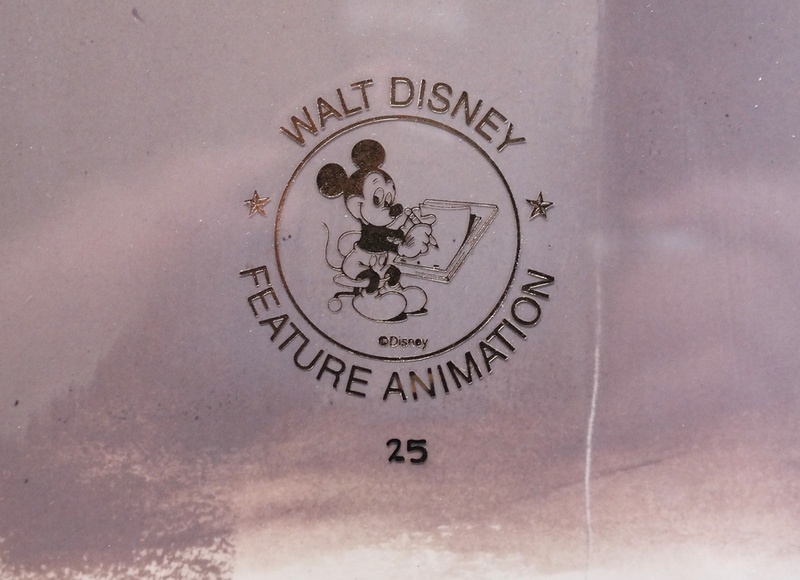 These employee limiteds were made in very limited quantities as the studio would only create enough cels to fulfill the orders placed by the crew. The overall measurements of the piece are 12.5" x 17" and the image itself measures 10" x 13". The cel is in excellent condition.